I share podcasts with you guys somewhat regularly, mainly because I listen to so many! It’s also an excellent way for me to find out what you are all listening to at the moment as well. 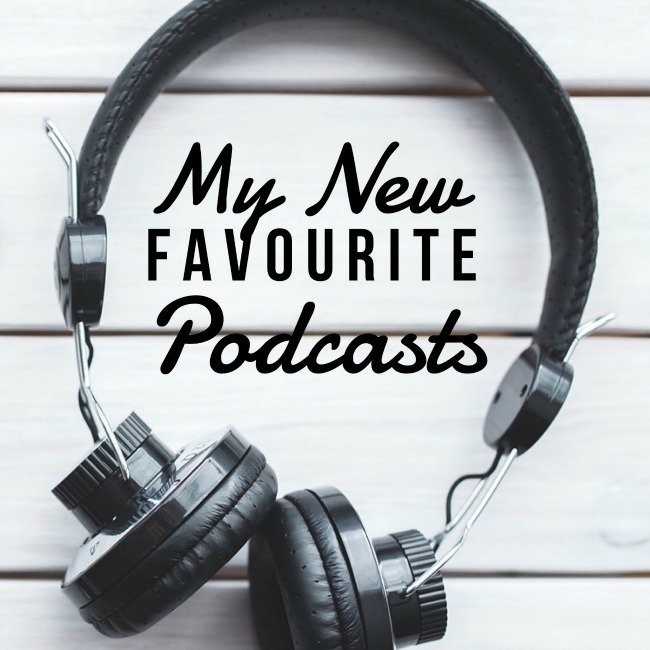 So, in that spirit here are some of my new favourite podcasts! Some of them are actually new, and others are just new to me – but if I missed them then maybe you have too! This monthly podcast from Slate is by far one of the most interesting, entertaining and educational podcasts I’ve ever listened to. Each episode explores a song, or artist, and what made their hits, well, hits. The host, Chris Molanphy, pulls apart what was going on in the charts and the world at the time and how that impacted on the success or otherwise of particular songs. Episodes include everything from the intersection of the careers of Elton John and George Michael, to Donna Summer to the world of charity singles. Seriously, give it a listen! This podcast definitely falls into the actually new category – only a couple of episodes have been released thus far! It definitely is showing promise though. The podcast covers the theft of 13 pieces of art from a Boston gallery in 1990, including pieces by Rembrand and Degas. The crime is still unsolved, and the hosts are exploring the impact it had on the community, as well as theories behind how it happened. So interesting! Season One of Slow Burn has just finished, but it’s only nine episodes long so you can power through the back catalogue in no time. The inaugural season covered Watergate, but not the elements of the story you’ve probably heard about. Instead, they explore what it felt like at the time as the whole sorry affair unraveled, and they speak to people who were there. This includes members of the legal team, investigators, members of the media and more. Seriously interesting stuff, and more than a few parallels to the state of the world right now. Season two is coming soon, and it will cover the Bill Clinton impeachment which I’m sure will be equally interesting! The majority of Done Disappeared episodes are super short (around 10 minutes) so you can whip through the back catalogue in no time. 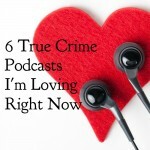 It’s a ridiculous spoof of the gazillion true-crime podcasts that are out there these days, and if you listen to as many of them as I do then you’ll recognize who they are gently (or not so gently sometimes) taking the mickey out of. It’s silly, sometimes over the top, but a lot of fun! This podcast is the most recent of the Radiotopia Showcase series, and is a six-part series all about well, secrets. How we keep them, what it does to us and to others and what happens when they are exposed. The series is threaded together with a discussion of a big family secret that impacted the host’s family, whilst also focusing on a different type of secret from others each episode. It’s an interesting, compelling look at one of the complex parts of being human. Well worth checking out. Business War kicked off at the start of February, and so far they are exploring the story of Netflix versus Blockbuster. It’s super interesting and there’s so much I didn’t know! I can’t wait to see what business battles they cover next, and in the meantime I recommend you get listening! Ok, so the last two suggestions will only be of interest if you’ve heard the soundtrack to the musical Hamilton (or seen the show, but that’s less likely!). If you haven’t then do yourself a favour and do that before you listen to anything else. It’s on spotify so you’ve got no excuse, and you can come back and thank me later. For those of you who somehow haven’t heard about the cultural phenomenon that is Hamilton – in a nutshell it is a musical by Lin-Manuel Miranda (who also did the music to Moana amongst many other things) about one of the founding fathers of the United States, but predominantly done through rap and hip-hop. It also blends amazing elements of baroque music, jazz, R&B, classical and dance hall styles, so it’s got something for everyone. I have listened to the soundtrack countless times and cry pretty much every time, so seriously, give it a listen! 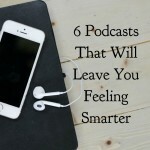 Once you’ve done that, give these podcasts a try too! Each episode of this podcast involves the hosts talking to a Hamilton fan (often either famous people, or people involved in the show) about their experiences of the show, and dissecting one song at a time. The show started a while ago and has been on hiatus since last April, but it’s still worth a listen! I particularly enjoyed the episodes with people who are part of the show including performers (eg episodes 4 and 7) and those behind the scenes (eg episodes 10, 14 and 15). The enthusiasm the hosts and their guests have for the show is infectious, and in particular it’s amazing to hear the impact the diverse casting has had on people seeing the show. Similar to the podcast above, the Hamilcast involves the host chatting to a superfan each episode about all things Hamilton. There’s more than 100 episodes in the back catalogue so I haven’t made my way through all of them since coming across this podcast, but I’ve enjoyed all the ones I’ve dipped in to so far. There’s a series of podcasts with the creator of the show himself – Lin-Manuel Miranda (episodes 88-91) which are of course amazing, as is the two parter with the show’s associate musical director (episodes 83-84). There’s also heaps of great episodes with stars of the show as well as folks behind the scene, so there’s no shortage of interesting tid-bits to be learned. Get listening! 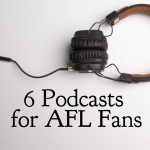 What are your new favourite podcasts? I’d love to hear about them!